Virginia Coop Credit Union passes its earnings along to our members in the form of fewer fees and better rates. Teaching financial thrift is the core of what makes Virginia Coop Credit Union different. 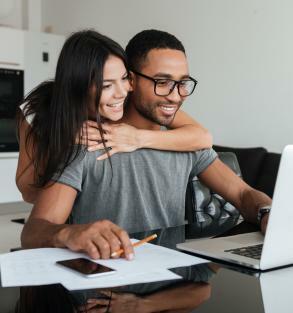 All VCCU deposit accounts are federally insured to at least $250,000 by the NCUA, the National Credit Union Administration, a U.S. Government agency. No minimum balance. Free online access. Thousands of surcharge-free ATMs. What’s not to love? 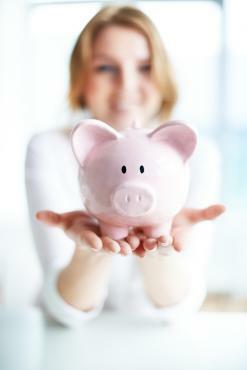 VCCU offers a variety of savings accounts to help you meet your financial goals. At VCCU, our checking account doesn’t have monthly fees and it has no minimum balance requirements. Our account is honest and straight-forward, just the way you like it. No minimum balance required. Yes, that easy. No tricks or gimmicks. It’s that simple. Free debit/ATM cards, directly connected to your checking account, so you’ll always have access to your funds when you need them. Overdraft line of Credit Available – let’s talk and see if this is right for you. Free ATM withdrawals in the Shazam Network. Sign up for free eStatements! Did you know that approximately 85% of identity theft cases start with stolen paper forms, such as bank statements? Virginia Coop Credit Union charges a monthly $2.00 fee to mail paper statements. We strongly urge our members to use eStatements through Online Banking instead. They’re faster, safer, and free of charge. Get checking with VCCU and save. Stop in today to open your account, or call us at 218-741-5644. Coming Soon - Make the Switch! It’s easy to move your checking account to Virginia Coop Credit Union. First, stop in our office or call 218-741-5644 to open your new account. Watch for our new Switch Kit, coming soon! YOU MUST HAVE SHARE ACCOUNT to become a member. This basic savings account also serves as your “share” of ownership in Virginia Coop Credit Union, a member-owned cooperative. The minimum balance of the share account is $5.00, the same as when we were founded in 1937. Club accounts are helpful when you’re saving for a special event such as a vacation or the holidays. You can automatically deposit a small sum of money into your club account each month. Call us at 218-741-5644 to set up your Club Account, and start saving! You’re never to young to start saving! Parents and grandparents, you can set up a Little Ranger account for your child or grandchild and set them on their way towards a more profitable future. Start saving today! To open an account for you or a loved one, simply drop by our office or call 218-741-5644 to get started. Fee for balances under $25. The service charge is waived if you have a loan, active checking, or other share account.